These are interesting times for investors and their financial advisors. Market gyrations and disappointing returns have led to frustration for both. Here are eight insights that could help both parties gain an edge in a challenging environment. Investing in energy produced by wind turbines is going mainstream. As global demand for energy rises, more attention is being paid to hydro, wind and solar options. Investing in green or clean energy is no longer just for tree-huggers – instead, it’s going mainstream, with younger investors particularly interested. Also, check out The Globe’s guide to socially responsible investing by our personal finance writer, Rob Carrick, complete with fund picks. What kinds of investments should go into a tax-free savings account? With markets on the shaky side, a middle-of-the-road solution might be best. Here are five moderate-risk investments that could fill the bill for those with $6,000 of fresh contribution room. How does your nest egg compare? See whether your nest egg is measuring up to where it should be at your age. It’s a question that advisors are often asked: How much money should people have saved at their age? It varies with one’s situation and needs, of course. But here are some benchmarks for people ages 30, 40, 50, 60 and 70 to help them see whether they are measuring up. Balanced funds have long been mainstays in the portfolios of Canadian investors. Vanguard recently introduced a suite of even simpler, low-fee exchange-traded funds (ETFs), and they are a hit, popular with both advisers and self-directed investors. Most Canadians who work with financial advisors think they are worthwhile. Will people who seek help from experts amass more money in their retirement accounts? In one U.S. study, people who consulted an advisor saw far better results. 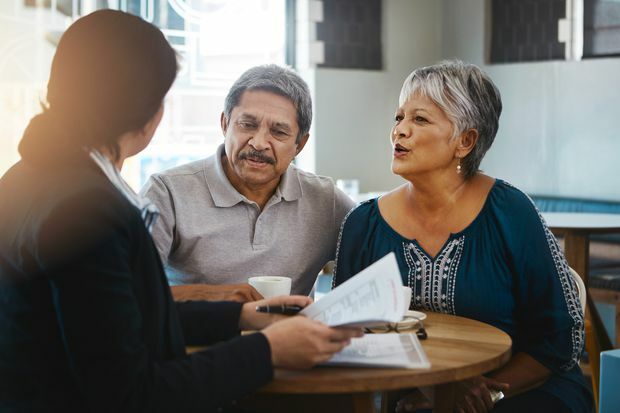 On the whole, Canadians with advisors think they are worthwhile: 56 per cent of approximately 12,000 respondents reported receiving good value for money spent and 16 per cent said fair value. Advisor fees – fair or not? How can investors figure out whether they are being charged fairly by their investment adviser? Check out The Globe’s investment fee disclosure tool to see whether you are paying too much. More people consider themselves "savers" rather than "investors." How investors think about themselves can affect their success. A recent poll showed that just 30 per cent of 2,915 Canadians surveyed considered themselves “investors.” More people thought the term “saver” described them well, which isn’t a bad thing. But saving for retirement won’t cut it – you have to think like an investor, says Globe columnist Rob Carrick. The Globe’s newly refreshed hub for financial advisors offers financial news, investing advice and powerful tools that can help them attract, retain and manage clients. Advisors will also find helpful information about running a practice and working with clients.